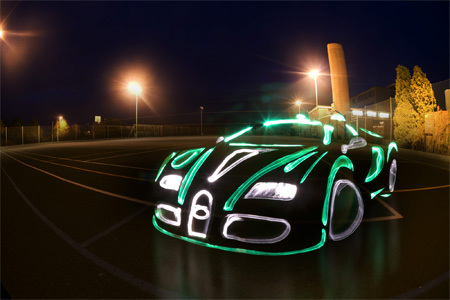 Stunning photo series by Marc Cameron and Mark Brown, features outlines of iconic luxury cars created using light graffiti. 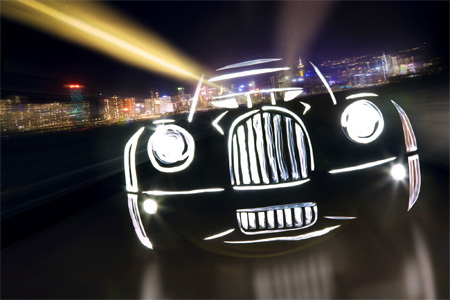 “Using an original technique of light painting I aimed to create simplified graphic versions of each of these classic shapes. The timeless, current and forward thinking design of each model has made creating these representations a massively inspiring experience,” says Mark Brown. THATS AWESOME! how do you know where to draw everything?! Intense how certain aesthetic attributes can really tell you which make and model each is. Without even reading the titles, I knew everyone. Awesome. First , i would like to see a video of the creation of any of this pictures . . . . I second that. How do they create these so perfectly? They’re all Photoshop fakes. 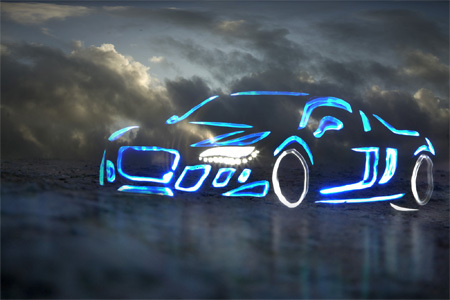 Light-painting in a moving shot, at speed? I think not. Reflections are all hastily painted in, and, er, reflections in gravel and dry tarmac and sand?? They’re hobbyist images done in Photoshop – nothing wrong with that, but they should be described as such. its owesummm but how is it done!!! 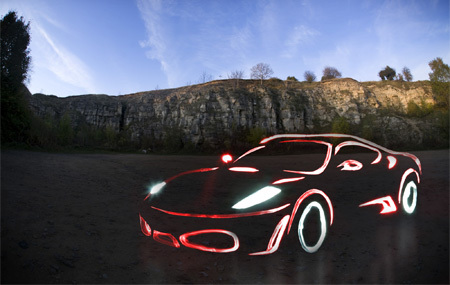 Light Graffiti is sick! I love light painting with fire the most. Damn Great ! ! ! especially the Audi R8 ! Now that i look at them closely, I also agree with DocDelete. 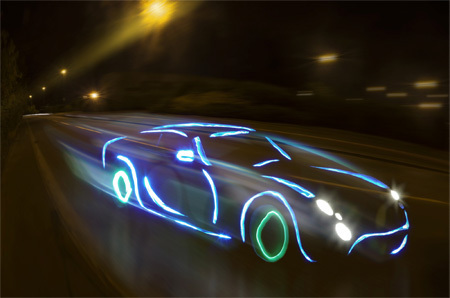 These are nice photoshop manipulations, but falsely labeling them as light graffiti is LAME and LOW, and thus they earn my disrespect. are there high resolutions of these? Actally, they’re not that good. Or do you have very low expectations? It is obvious that they and not playing with light source alone. I highly believe they are playing with plexiglass. It does look like pieces of plexiglass being lit up by some light source.